This week in the forest the children have been working very hard, using the tools to make watches, necklaces and spinning tops. The children had the opportunity to try using the bow saw and the pinion drill. Our Little Forest Folk-ers were very good at explaining how to safely use the tools to some of our holiday campers who have not used them before. They then used pens, paints and their creativity to create beautiful, unique necklaces and watches. Next, we were blasting off to Mercury in a rocket ship and talking about zero gravity. The climbing tree gave inspiration to this imaginative play as the children discussed how it looked like a rocket and then climbed inside to go on their space adventure. They spoke about holding on tight so they didn’t float away and ‘making gravity’ and were interested in the fact that different planets have different gravities. During this play the children discussed time, counting, directions, aliens and various planets. This week we discovered some muddy haystacks that had been left by the gardeners. The children asked if they could cross the crocodile river to explore them. They experimented with various ways to climb all over and jump off them. We suggested they could get some of the planks from the campsite to construct bridges across them. The children worked together to transport the planks and built a variety of different height bridges to balance and wobble across. Some of the children started pretending to be trolls under the bridge which led to a game inspired by ‘Billy Goats Gruff’. When they got stuck they asked if they could hear the story, developing an awareness of how to extend and develop their own knowledge. We have had a very sporty week in the forest. We’ve played football and netball as well as long jump and high jump! We supported the children in setting up the long jump – marking out lines of where to start, where to jump and laying a measuring tape along the side. The children had a couple of practice goes and took turns reading off how far they had jumped with some help from the educators. They wondered who had won but could not remember the scores which led to recording the lengths jumped using the clipboards and pens. The educators supported the children in recording the scores and they all thought about larger and smaller numbers and where they came on the number line. This helped them to work out if they had jumped further this time compared to their last attempt. We have had lots of fun this week in the forest and we hope you all have a wonderful weekend! 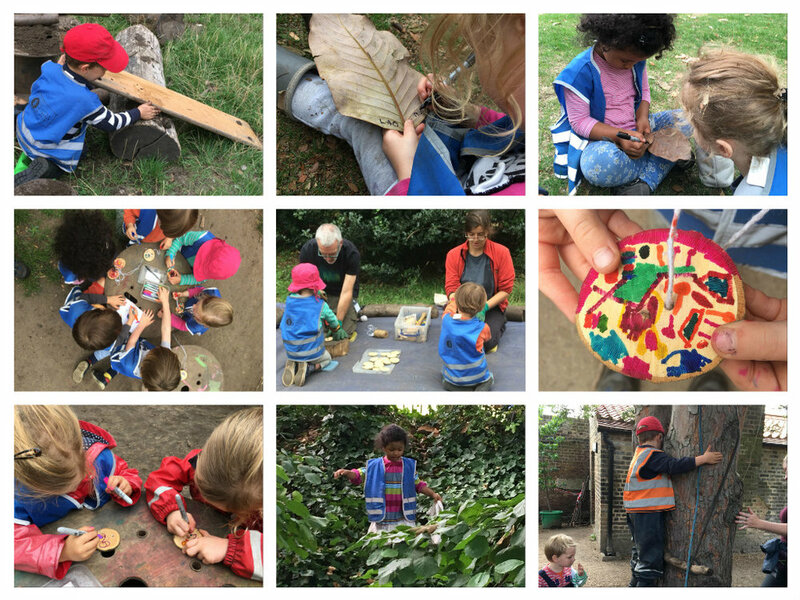 Older PostWandsworth - Treasure hunt!